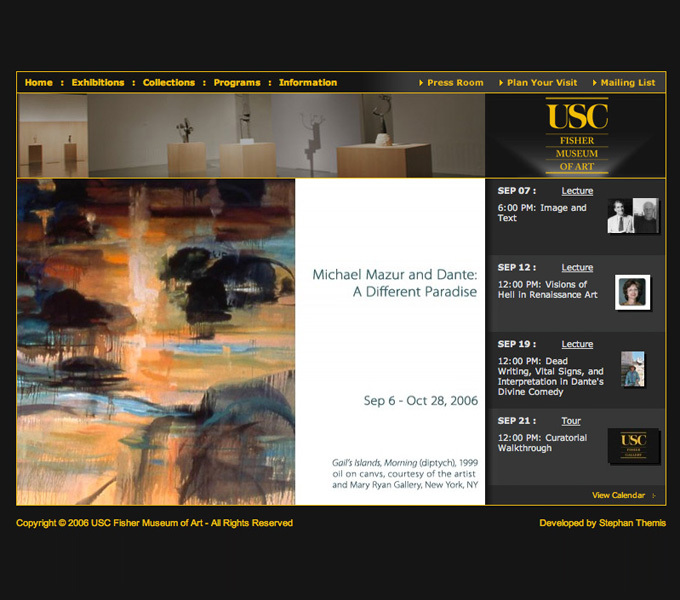 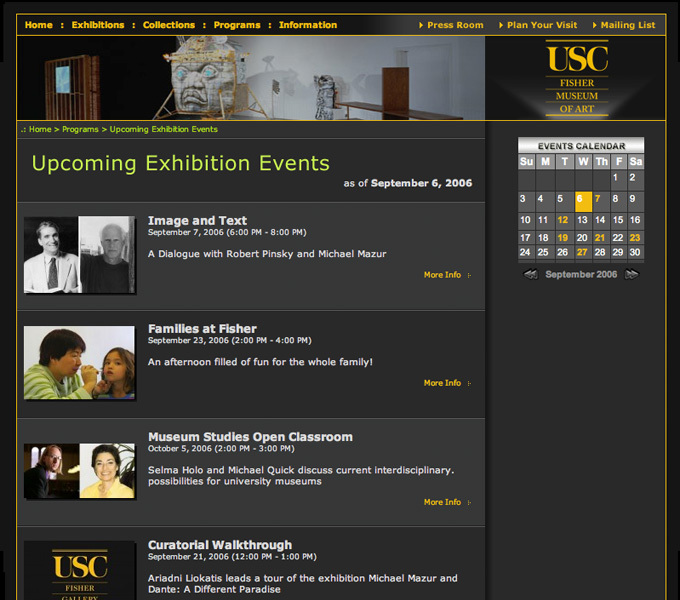 USC Fisher Museum of Art is the accredited art museum of the University of Southern California. 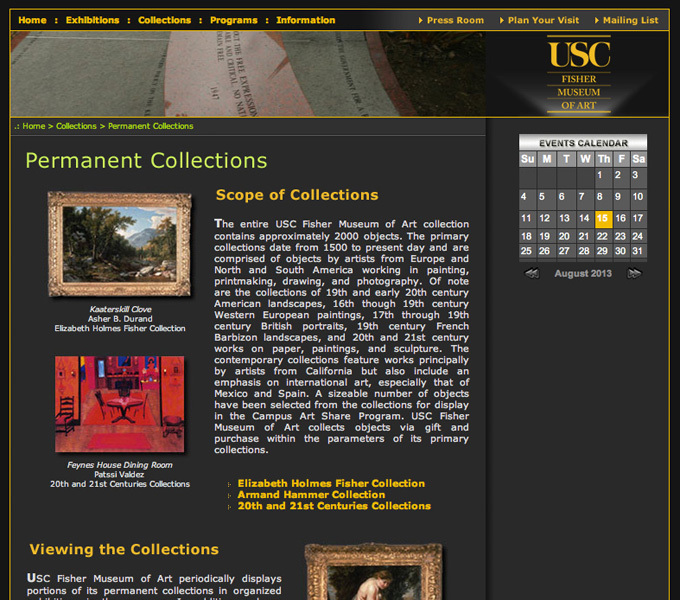 It was founded in 1939 and has permanent collections spanning across four centuries. 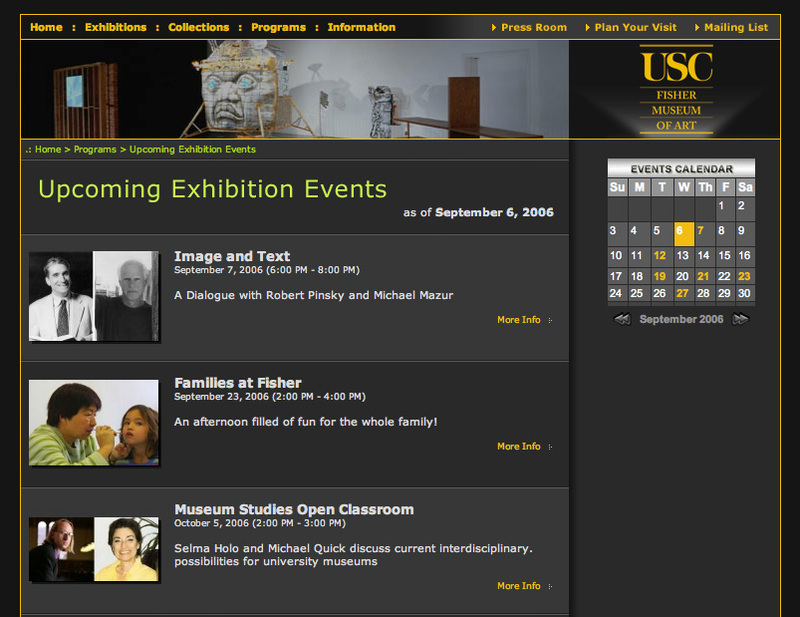 The museum features rotating exhibits and organizes events to bond families and community members through the arts. 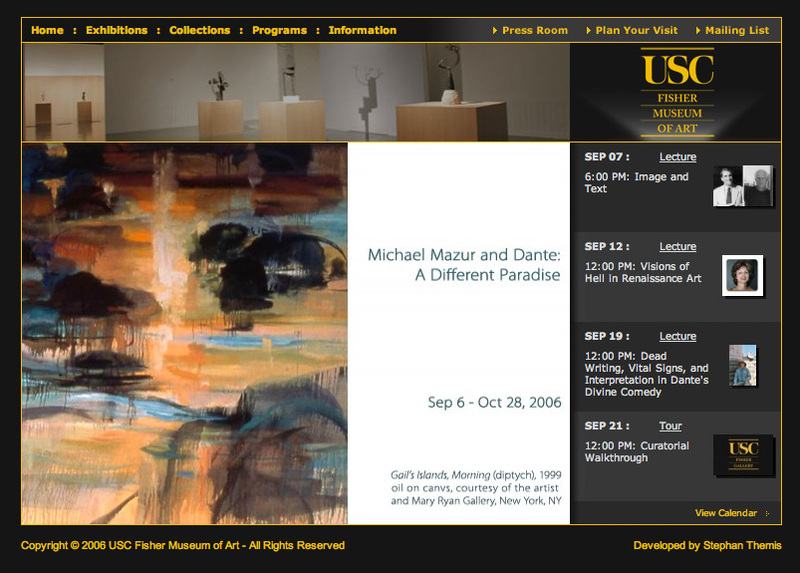 Themis Web Technologies developed the museum's first dynamic website, empowering their staff with the ability to promote exhibits and events like never before.